Women make up 19.4 percent of the U.S. Congress and 24.8 percent of state legislatures. The numbers are even more disproportionate at the local level. In Alabama, women make up 52 percent of the state’s population, but they only hold 14 percent of seats in the state legislature. As of 2016, there are no women of color in statewide executive elective office. A new Alabama group wants to change that. 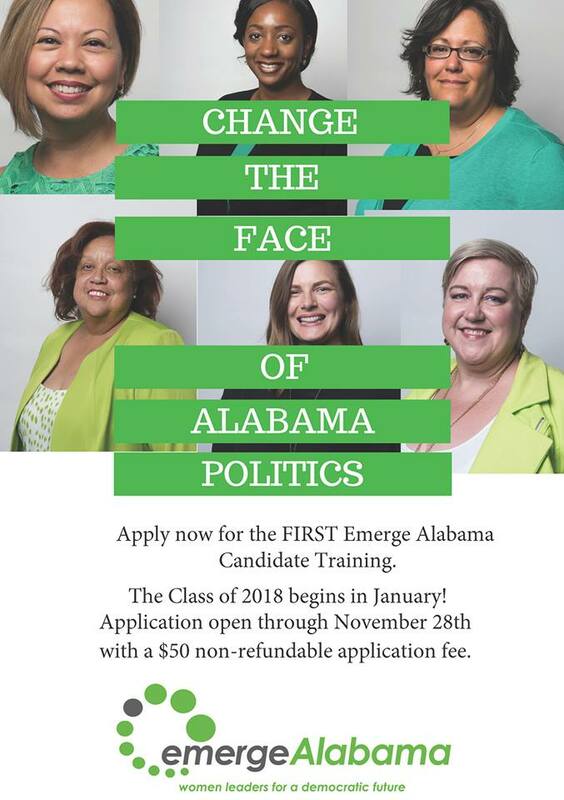 Emerge Alabama, a group dedicated to training and electing Democratic women to office, has announced it’s now taking applications for its inaugural training class. Their vision? To change the face of power, politics, and leadership in this country in order to have policies that are responsive to all Americans. The Emerge model is an intensive 70-hour, cohort-based training program, designed explicitly to address the extra challenges that women face in the political arena by offering early-stage recruitment; top-notch, comprehensive training; and an ongoing network of support. We use a rigorous, highly selective application and screening process to ensure that our participants are great future candidates. Our recruitment effort focuses on all levels of diversity, so that we can add depth and breadth to the Democratic candidate pool. Founded only 10 years ago and now operating in 23 states, Emerge affiliates have trained over 2,500 Democratic women nationwide, creating a powerful pipeline of Democratic women running in politically important districts. In 2016, over 330 Emerge alumnae ran for office across the country and 70 percent of those who appeared on the November ballot won their elections. In 2017, Emerge tipped the scales and 150 alumnae were elected to office. Alabama women interested in applying should submit an application no later than Nov. 28.